There is more to know about how to make burger patties than simply forming meat into a patty shape. To make the best burger like your favorite restaurant you need to pay attention to these simple details. I take my burger patty recipe very seriously. I have made burgers every different way imaginable on my quest to make the best homemade burgers. I’ve bought meat, ground my own, used chuck, brisket, butcher’s choice, 80/20, 70/30, 90/10, and the list goes on. Suffice it to say, I tried it all. Oh, and did I mention I once owned a gourmet burger food truck? Well, technically it was a truck, but if it never really ran can you still call it a truck? Basically, what I am trying to say is, I think I have some credibility when it comes to teaching others how to make burger patties like a restaurant. First things first, I’m talking about how to make burger patties like a GOOD made-from-scratch restaurant. I’m not talking about restaurants that ship in their patties already made, or worse, pre-frozen. The most important aspect to making the perfect burger is selecting the right meat. This isn’t just talking about the right cut, or the right grind, or the right fat ratio. It is all of that, and more. Let’s start with the packaging and work our way backward. To make exceptionally tender burgers you need to grind your own meat or buy it from your grocery store freshly ground. If your hamburger was stuffed into meat tubes it was already compacted too much and will never make a great burger. Use that for taco meat. Instead, you want to still be able to see the individual strands of meat still loosely intact after coming out of the grinder, as shown below. Fresh ground meat creates a more tender burger because it was never compacted tightly together. Next, you want to make sure it is the right cut. You want fresh ground chuck. Ground chuck will typically have the perfect ratio of fat to meat, which is 80/20. Plus, the fat isn’t as stringy as brisket can be. I know brisket burgers sound cool because they make you think of BBQ, but they are second tier. As mentioned, you want 80/20 beef. 90/10 may sound like a good idea because it is healthier, but it will be too dry to make a good burger. Burgers need fat to be juicy. You also don’t want anything fattier than 80/20, if there is too much fat the burger will shrink excessively during cooking and you will end up with meatballs swimming in grease. Now that we have the right meat, we need to make the perfect patty. The best tip I can give you is to never overwork the meat! You only want to press and form the meat as much as needed to form your patty. Any more than that and your burger will start getting dense. 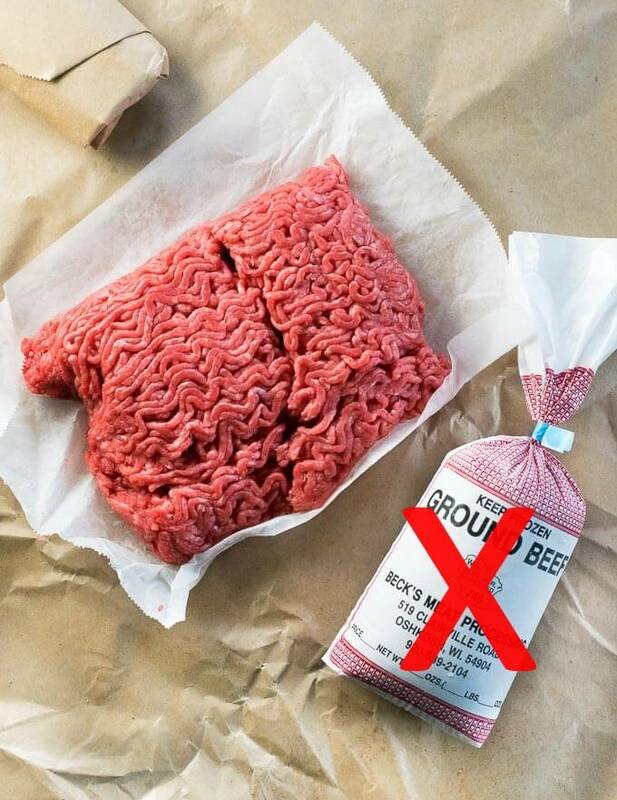 Separate your freshly ground beef into chunks sized for the burgers you are making. I like to make 1/3 – 1/2 lb burgers typically unless I’m making a fast food style burger, which is a whole different story. I gently form them into a rough ball shape, just pressing enough to ensure the meat holds together, then I place them on a flat surface and press them down. Using a burger press, or just a flat plate, works great for this! However, I love having wax papers to place between the burgers and the surfaces because it ensures they won’t stick and they can be more easily transferred to the cooking surface. Now simply, and firmly, press straight down to form the patties into shape. As you can see in my picture you can still identify the strands of meat from the meat grinder. This is a sign that you succeeded in not overworking the meat. The strands will separate more easily from each other when you take a bite than if you squished and squeezed the meat together. This is what makes your patty so tender. My personal preference is to keep the strands of meat running vertically when pressing the meat. Make sure you press the patty to be larger than the bun you will serve it on. The patty will shrink a bit during cooking. If you like your burgers thicker, press your thumb into the center of the burger. This will help the center cook more evenly. Don’t press the patty while cooking!!! Just don’t do it! You are not making it cook faster, you are squeezing all the juice out, guaranteeing you will have a dry burger. Yum. Only flip the patty once. Don’t play with the patty, let it do its thing. By flipping it once you will allow it time to build up a charred crust which adds flavor, and it is easier to time doneness, in my opinion. I typically let it cook till the top appears to be turning purple and juice is starting to puddle on top, then I flip, top with cheese and cook a few minutes longer. You can top your burger with whatever you want. However, the bun you choose makes a BIG difference in how great you burger tastes. My favorite by far is a Brioche bun. However, these can be hard to find. You simply want a bun that feels light and squishy. 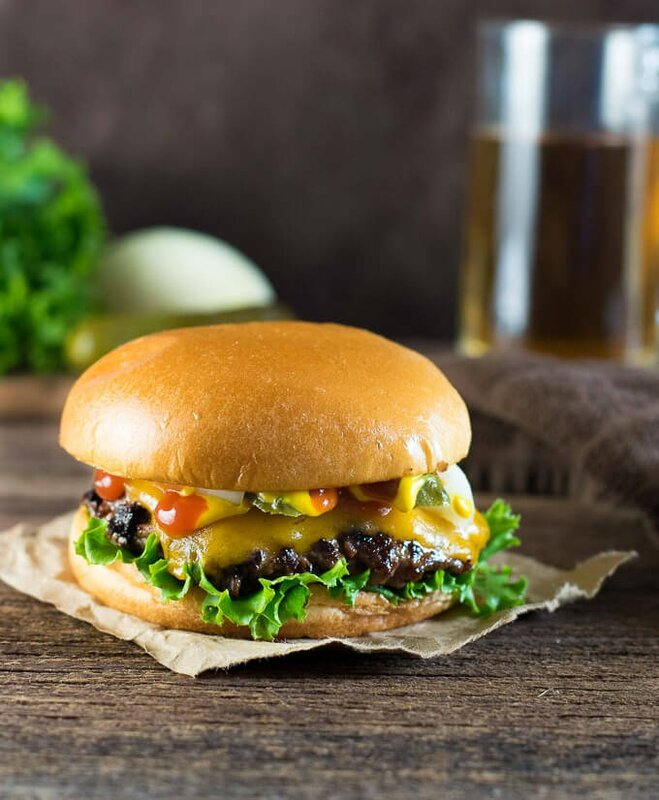 A heavy, dense bun will steal the show from the tender burger patty. I always toast my buns too, the heat lightens up the texture of the bun, once again allowing the texture of the tender patty to be the star of the show. Pro tip: Do you know which lettuce is best for the perfect burger? Green leaf lettuce. It has better flavor, better texture, and a more pleasing appearance than romaine or ice burg lettuce. Check out my summary for how to make burger patties below. Select a pound of freshly ground chuck from your butcher. You should still be able to see the individual strands of meat from the grinder. Divide the meat into three equal chunks, compressing the meat only as need to hold it together in a loose ball. 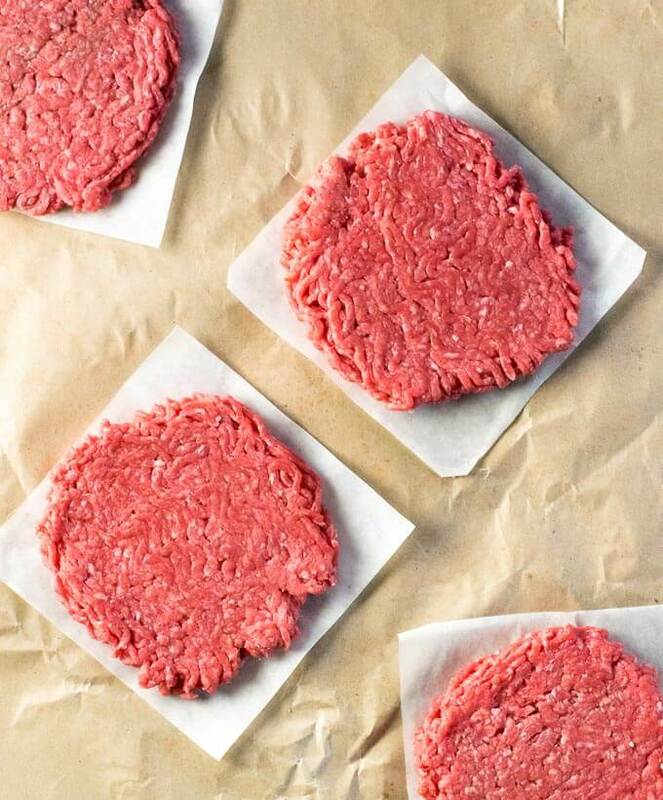 With strands of meat standing vertically, firmly press down on each chunk of meat to form into patties. Season liberally with salt and pepper. Place on medium-high grill or skillet (if using a skillet I like to add 1 tbsp of oil to help the patty cook) and cook till the top of the patty starts to darken in color. Flip once, top with cheese, and cook a few minutes longer. Butter inside of the hamburger buns and lightly toast them in a separate pan, cut side down. Assemble your burger with desired toppings and enjoy. IF YOU LIKED THIS RECIPE you will also want to learn How to Make a Fast Food Patty that is Really Good! If you enjoyed reading How to Make Burger Patties then you should probably like me on Facebook and follow me on Pinterest too. That’s what I would do at least, because if you don’t get to know me but you still use my recipe it is kind of like taking candy from a stranger, and your mom taught you not to do that. Don’t disobey your mom, subscribe to Fox Valley Foodie today. Love this! 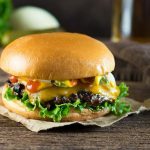 I love burgers and even wrote a post on burger patties! They are too fun and way to easy. And fantastic with awesome beef! Enjoyed this read! I too grind my own meats. Can’t beat it. I tried grinding just a small portion of very lean bacon into mine. Fantastic. You want lean bacon because of the fat to lean ratio. Your right about too much fat. Your burgers look great! Thank you!! Priceless tips that resulted in the best homemade burgers ever! From his first bite my husband’s eyes opened wide – ‘husband facial language’ for “Oh my goodness wife, how did you make these?”. And then he oohed and aahed with every bite thereafter! So thank you!! I LOVE comments like this! I made the best burgers ever with your help! Thanks so MUCH! So you’re telling me I don’t need to go through that messy process with the eggs and the breadcrumbs and the burger come out just fine? I was thinking the same thing! 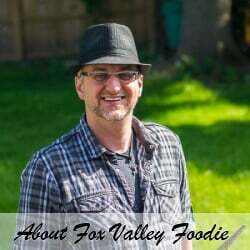 I had no idea… Thanks Foxvalley foodie!! I am going to make these burgers this evening. What oil do you recommend for the skillet? Personally, I use canola oil because of its high smoke point. Thank you for the post! Grilling these on the BBQ today for the 4th! Gonna try these tonight for my son, who loves burgers! Love the way you express everything. It’s like I am there with you. All the way from Labrador! I made these burgers today for dinner. I always hated homemade burgers and I refused to eat them even if hey were grilled, because I was left disappointed every time. They were always dense and had this nasty herb flavor. But holy cow your recipe is amazing. And I have never made burgers before. They tasted like restaurant burgers. My husband said they were d*mn good and he’s a cook. Thank you! 5 stars all day. One thing I did differently was make 4 burgers bc I like them a little smaller. But hands down the best burger recipe ever. You should take pride in it! Awesome! That is what I love to hear! Growing up I also HATED homemade burgers. They had no flavor, they were overcooked, and they were typically shaped like baseballs by the time they finished cooking. Luckily I had a friend’s mom who made really good ones, so I knew it could be done and became inspired to figure it out! I would love to grind my own meat but how do I get the right ratio of meat/fat? 80% meat 20% fat is the proper ratio. All you need to do is use a digital scale and weigh out 8 pounds of lean meat and 2 pounds of fat. Obviously, this can scale up or down as needed. A chuck roast is typically pretty close to a 80/20 ratio anyhow if you don’t have a scale or don’t want to weigh the meat and fat separately. This had some great advice, didn’t realize all the things I was doing wrong! If there is one thing in life I enjoy, it is telling people why they are wrong! Nice recepie, and really good result. I did changed one bit, went to local and picked up a batch of dry aged beef fat and renderd it down used fat while grilling 🤤. But overall its a delicious pattie. Time to outdo my husbands hamburgers! Thank you for the simplicity! If I request the butcher grind the chuck for me, how many times should I request he pass it thru the grinder? Once? Twice? Thanks in advance! Ask him to grind it twice. All you have to do is double the recipe. Best burgers I’ve ever made. Been trying to find the right method for a while and this is it. Pure deliciousness. Don’t mix the salt and pepper with the meat or you will overwork the meat and create an overly dense burger. Just sprinkle it on each side of the burger prior to cooking. I love the simplicity of this recipe!! My [extremely] picky four year old sat mmming away with every mouthful of these burgers and even asked for more! We will be making these a regular on our weekly menu planner in this household.